The awards recognize staff members who have gone the extra mile to help Lenape students. Students at Lenape High School have until April 28 to nominate teachers, coaches, counselors, nurses, secretaries, administrators, custodians and other staff members for the 2017 Crystal Apple Awards. Students are asked to nominate staff members at Lenape who have gone the extra mile to help Lenape students. If there is a staff member who makes a student feel like they’re a part of that staff member’s own family, if there is a staff member who believes in a student and their abilities to succeed, if there is a staff member who has helped a student through a difficult time — now is the chance for students to show appreciation and gratitude for those efforts. 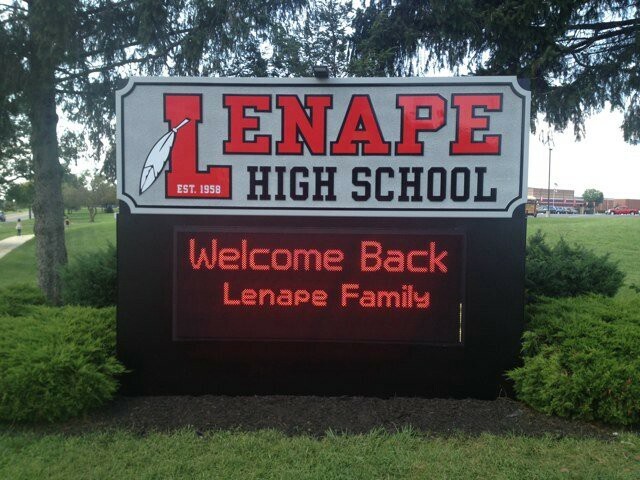 · Students select a Lenape teacher, coach, counselor, nurse, secretary, administrator, custodian or any faculty member who has impacted that students life in a major way. · Students then write an essay or poem about how that staff member has influenced them. · Students are asked to include the positive characteristics and traits which come to mind when students think of this person. · Students will be selected to read their nominations in a special ceremony on May 12. (Prom Day) Students must be available to take part in that ceremony. · Students can submit nominations to Principal Tony Cattani’s office in the Office Complex by April 28. Students are asked to include their name and grade on the top of their essay or poem.